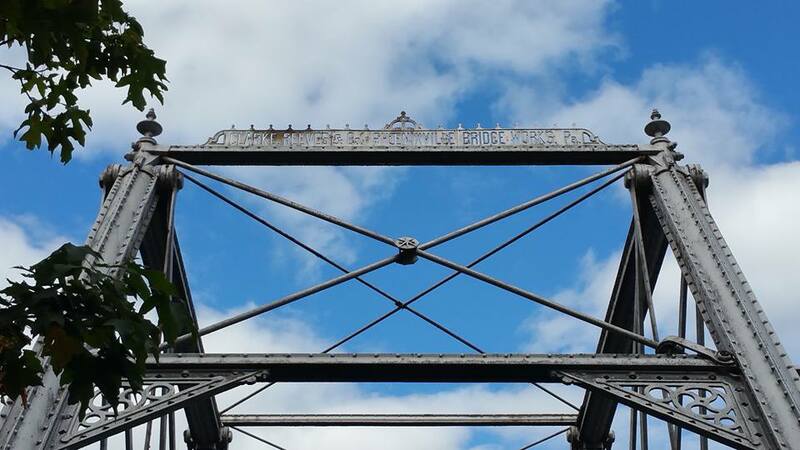 Our mission is to save historic truss bridges. We are executing our mission. We are fundraising for cable railing for the Hayden Bridge and we are looking for interested folks to participate in our masonry workshop for Craighead Bridge. These are two bridges that we took on in our “Preservation via Ownership” initiatives. Our bridge, the one that started it all for us, has now been restored. It took a long time and was very difficult but we did it. We need your help. Be an SOB. Tell us your story, let us help save your bridge. We have 9 years in this now. We have saved over a handful of bridges and we hope we’ve inspired a few more saves (heavy lifting for our small hands). Our team of industry partners can make it happen like Bach Steel and Schiffer Group Engineering. You can also help by donations. The successful projects work best when there is both private and public interest, many people to help and funding sources. Let us help you. We have references. Call us at 641.260.1262. Workin’ Bridges was formed under The North Skunk River Greenbelt Association (NSRGA) with the mission to preserve greenbelts and historic truss bridges. NSRGA was founded as a 501(c)3 in January of 2010 to support just one bridge, the McIntyre Bowstring at Mill Grove Access in Poweshiek County. In order to preserve that bridge, Workin’ Bridges was founded in late 2010 to support preserving other historic bridges in collaboration with Nels Raynor of Bach Ornamental and Structural Steel (BACH Steel). The team grew in 2014 with the addition of James Schiffer of Schiffer Goup Inc. SGI’s experience with truss bridges allows us to target the engineering for site visits and projects. We are always interested in other Industry Partners that can help further our mission. Those engineering and contracting firms qualified by DOTs across the country might benefit by setting up a collaboration to save our bridges.